WELCOME TO CASE[WERKS] ONLINE NEWS! 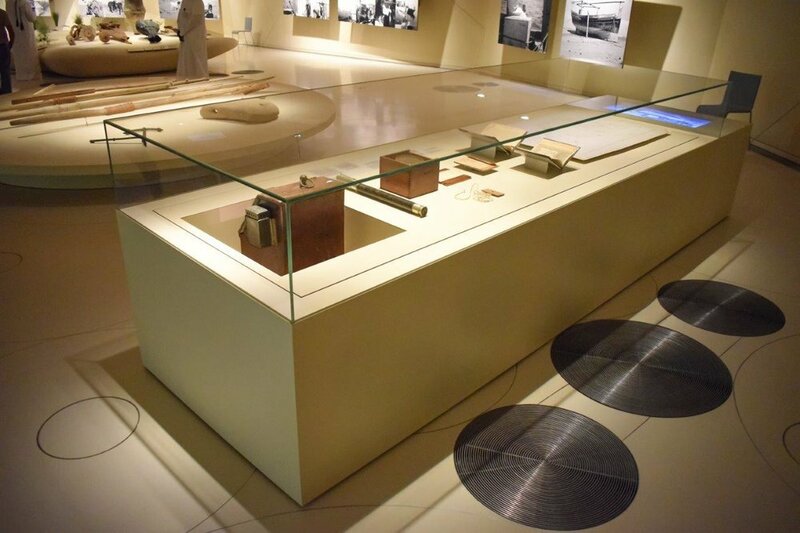 The National Museum of Qatar opened its doors in March with much fanfare. Sited on Doha’s waterfront promenade, the architectural wonder inspired by a mineral formation known as the “desert rose” was designed by Ateliers Jean Nouvel. The museum features eleven galleries and 32 highly sophisticated display cases manufactured by our colleagues at Vitrinen- und Glasbau REIER GmbH. This project was a monumental endeavor and represents months of labor both in Lauta, Germany and on-site in Doha. 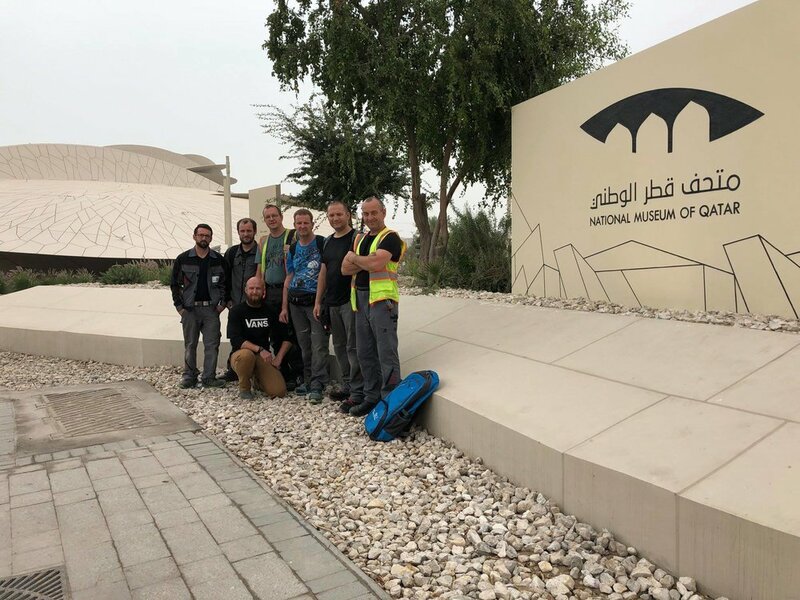 At some points during the installation, more than 25 REIER technicians were involved, many of whom have also worked on Case[werks] installations in the United States. Congratulations to TEAM REIER! 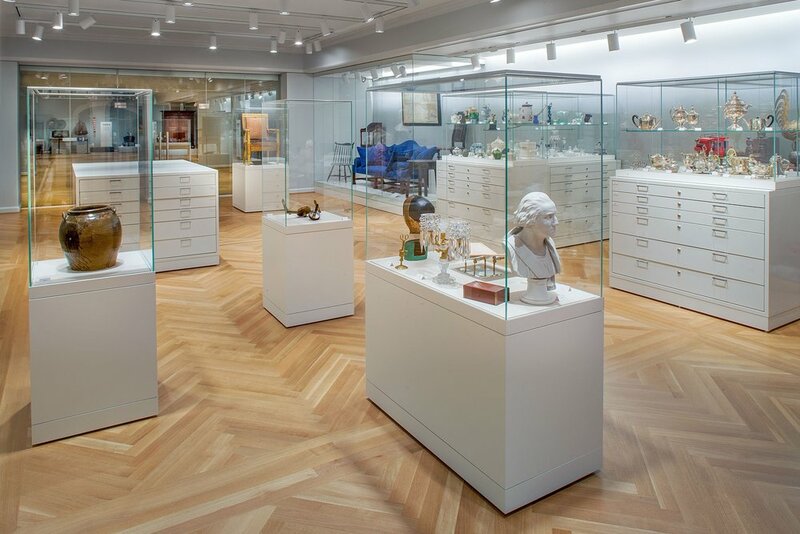 The DAR Museum in Washington, DC completed renovations last year on their stunning new exhibit spaces. The galleries are open and wonderfully lit. Features include a welcoming glass entrance area, beautiful herringbone hardwood floors with a variety of display cases supplied by Case[werks] and manufactured by Glasbau REIER. The two exhibit spaces include the Main Gallery, dedicated to rotating exhibits and the Study Gallery which offers the visitor the opportunity for a more intimate experience with hundreds of objects in the collection. 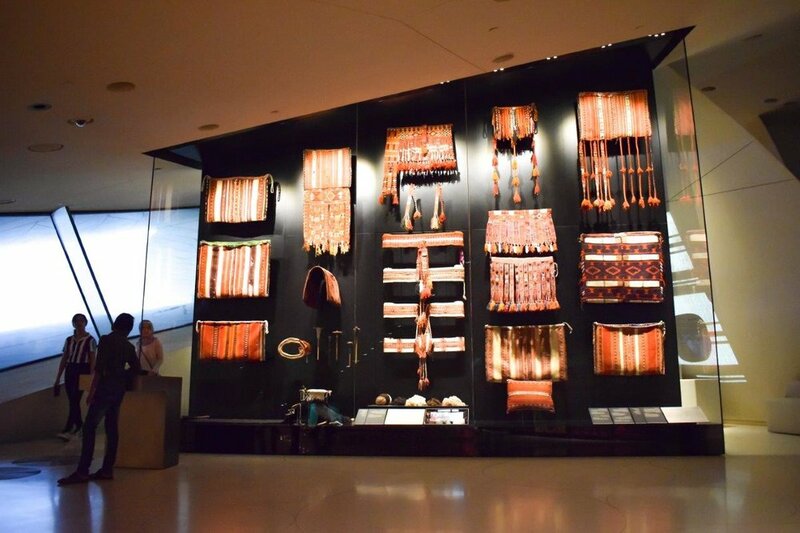 In addition to the many standard style vitrines, the space includes a number of large format standing wall cases that house quilts and furniture. Several vitrines were also added to metal storage cabinets designated specifically as study storage. The DAR Museum supports the mission of the National Society Daughters of the American Revolution (NSDAR). The staff at The DAR Museum do an excellent job curating their Facebook page — be sure to follow them HERE! Photo Credits: Robert Creamer, Mindy Best Photography, Richard Barnes Photography, Graham Haber, Patricia Fisher, Tim Lee Photography, P.D. Young & others with permission. Website by iamphillip.com.